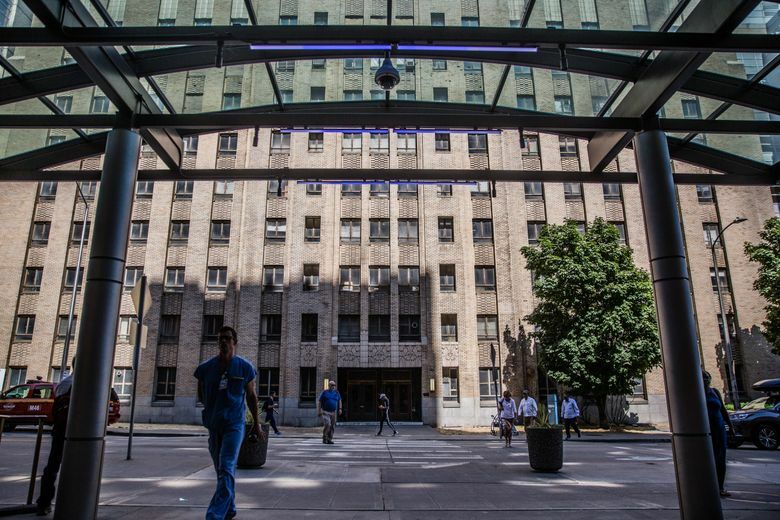 A 100-bed shelter is expected to open in the old residency building across from Seattle’s Harborview Medical Center in October, two years after funding was allocated. A 100-bed overnight shelter is expected to open on Harborview Medical Center’s campus in October, two years after the Metropolitan King County Council earmarked money for it. Harborview Hall, an old dormitory for nurses, is owned by the county and has been vacant for close to a decade. The shelter will operate on the first floor, for now. But the pace of the bureaucratic process to open the shelter in the midst of the homelessness crisis has frustrated County Councilmember Rod Dembowski and others. Seattle and King County declared states of emergency for homelessness in November 2015, and the County Council identified Harborview Hall a year later when it inventoried county-owned properties to place shelters. The 10-story building was constructed around 1930 as a dormitory for nurses, and was turned into office and laboratory space in the 1960s. It has been vacant since 2011, when County Executive Dow Constantine decided to prevent it from being demolished. Seattle City Councilmembers Teresa Mosqueda and Sally Bagshaw also expressed a sense of urgency in a letter to Constantine in June, asking that the shelter open by September, before the weather turns cold and rainy. “It should have been open a year ago,” Bagshaw said. 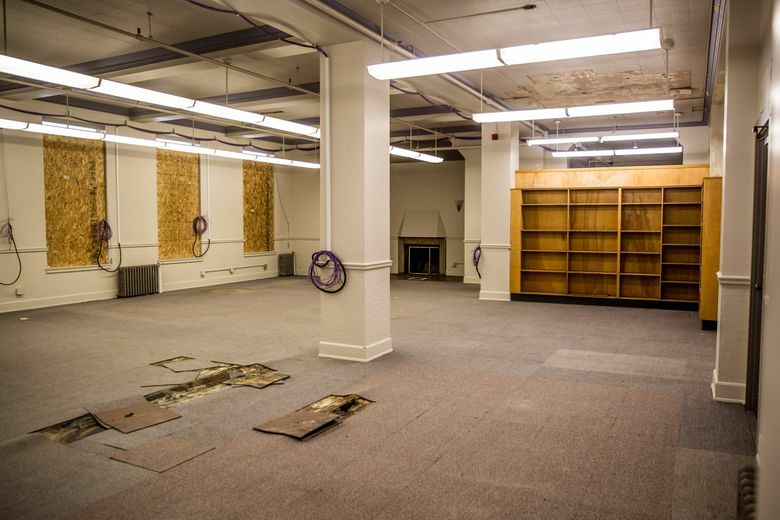 The King County executive’s chief of staff, Rachel Smith, said the project has been pushed back because of the challenges of taking an uninhabited building with code-compliance issues and converting it into livable space. “There certainly hasn’t been any foot-dragging on our part,” she said. In November 2016, the County Council allocated $2.5 million to create a shelter in Harborview Hall, but it took a year for the council and executive to agree to open an emergency shelter there. The council wanted it to be an “enhanced” shelter open 24 hours a day with case managers to connect shelter residents to housing and behavioral health services, similar to a model that Seattle has emphasized. But estimates from Constantine’s staff said it would be too costly to renovate the building to meet city code. Seattle’s Department of Construction and Inspections waived some city building code requirements typically applied to buildings being reoccupied after vacancy, as the shelter is only occupying the first floor, spokesman Bryan Stevens said. The county has not submitted a permit to the city yet, but has been working with the construction department to streamline the review process, Stevens said. County Facilities Management Director Anthony Wright said the building required significant upgrades, especially to the fire system, but is on track to have the overnight shelter open in late October if no further issues with the building arise. However, additional upgrades would be needed if the shelter is to be open 24 hours a day, he said. Dembowski, Mosqueda and Bagshaw all prefer the latter type of shelter, as does the First Hill Improvement Association, a neighborhood group. According to data from Seattle’s Human Services Department for the first quarter of 2018, people in enhanced shelters were about five times more likely to exit to permanent housing than when using basic emergency shelter, which typically requires people to leave during the day and has fewer services on-site. Constantine’s chief of staff agreed that an enhanced shelter is preferable, but factors such as cost are being considered. A decision likely will be made by next month. The total cost to upgrade the building for 100 beds is $1.1 million for an emergency shelter and $4.5 million for a 24-hour shelter, as the building would need showers, toilets and laundry. There are also big differences in operational costs. The 24-hour enhanced shelter is estimated to cost about $2 million a year to run, compared with $544,000 for the basic shelter, although that cost may increase as the county learns more about the building conditions, said Alex Fryer, Constantine’s spokesman. The county is in talks with The Salvation Army, which operates two overnight county shelters, to operate the shelter. In the bureaucratic battle over the shelter, the County Council last fall agreed to just an emergency shelter after estimates from the executive said there wasn’t funding for a 24-hour shelter. But Dembowski said there are now designated funds to cover the higher expenses, through funding from King County’s Veterans, Seniors and Human Services levy, which voters renewed last year. There are also battles forming over the rest of the 10-story Harborview Hall. Dembowski, Mosqueda and County Councilmember Kathy Lambert mentioned turning rooms on all the other floors into housing, instead of just on the first floor. But Smith, Constantine’s chief of staff, said this is not financially feasible, as it would require further upgrades to bring those spaces up to code. Without Seattle’s relaxed code-compliance standards — granted because the shelter would just be occupying the first floor — estimates to fully comply with standards were around $15 million. 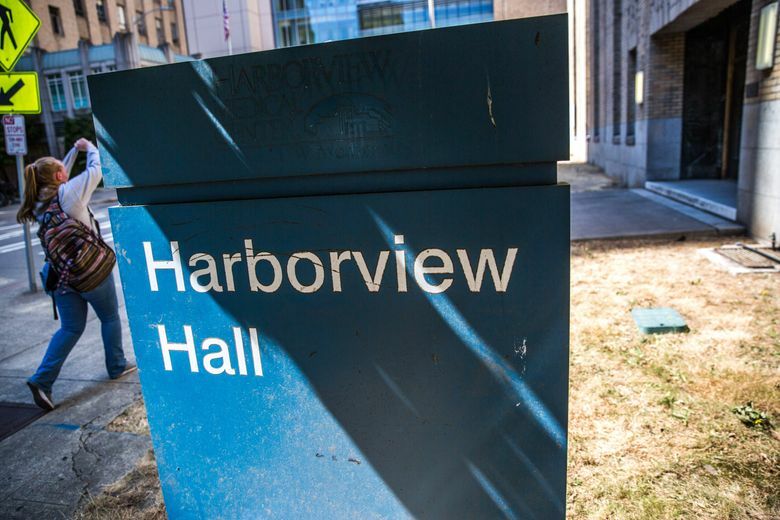 Also complicating the situation is the undetermined future of Harborview Hall. Multiple proposals had been submitted for the space, including a proposal from the Low Income Housing Institute for affordable housing. Ultimately, Sabey Corp. was selected to renovate the building for office space, but the county was unable to find enough potential tenants for the space, Fryer said. The county is still determining the building’s long-term plan, a process that Dembowski said he expects to take at least five years, with the shelter occupying the space in the interim. “There’s this bureaucratic dance going on, and at the end of the day, what I see is an unused dormitory locked up while people within one block are encamped in tents,” Dembowski said.